Maryland developer Edward St. John has developed tens of millions of square feet of commercial space, but it’s an education building at his alma mater that holds a special place in his heart. 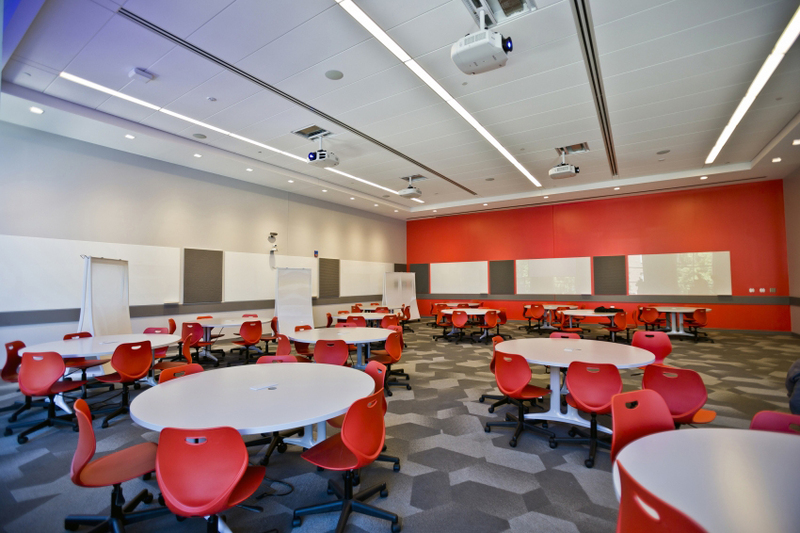 The $120 million learning center on Maryland’s main campus in College Park was designed and constructed to encourage a new level of interaction and problem solving between students and instructors that “moves away from traditional lectures by faculty,” St. John wrote. The center incorporates the use of tiered seating, mobile desks and swiveling chairs to help create a collaborative atmosphere. 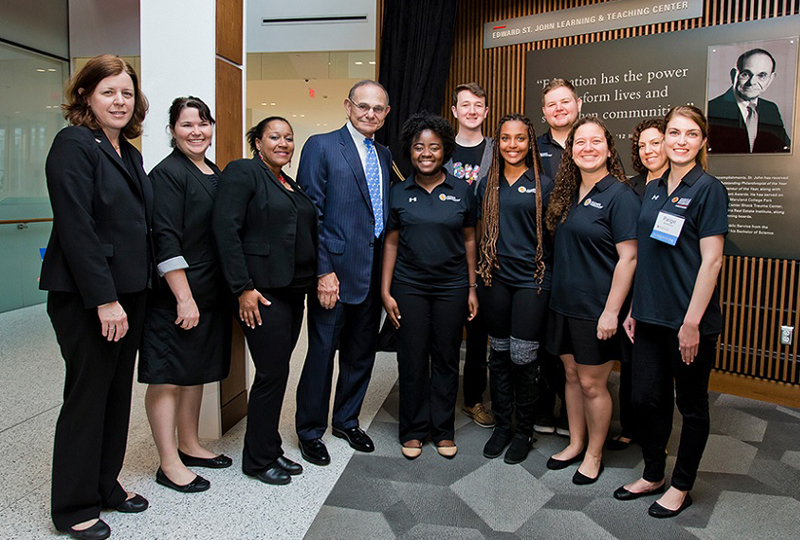 Employing methods and structures that encourage interactive and collaborative learning can benefit students more than “only listening to lectures,” said Ben Benderson, associate provost of learning initiatives and executive director of the Teaching and Learning Transformation Center at the University of Maryland. “It is unrealistic to presume that someone could learn a musical instrument only by observing someone else playing, nor can an individual learn how to master a sport by merely watching a competition,” Benderson said in a statement. A 1961 graduate of Maryland, St. John serves as founder and chairman of St. John Properties, a Baltimore-based developer that’s grown into one of the largest private commercial real estate firms in the Mid-Atlantic region. The company owns and manages 20 million square feet of Class A office, flex, retail, warehouse and residential space. It employs 190 people.